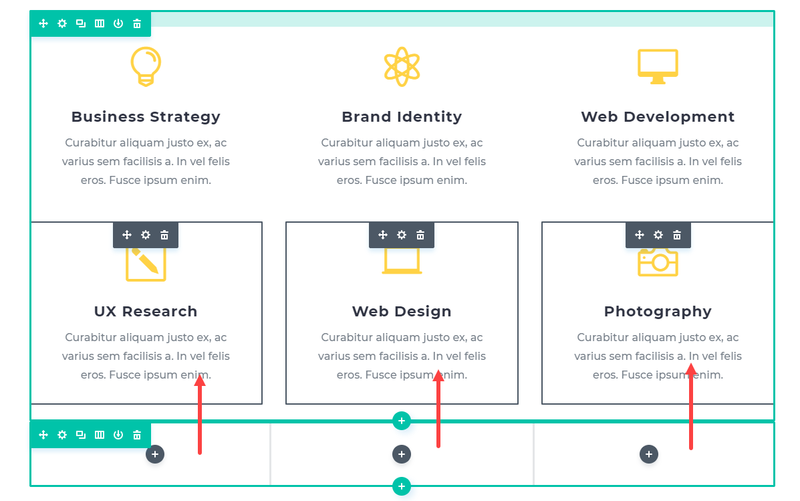 Adding an expanding hover effect to your grid layout is a unique way to engage your audience to interact with your page content. The idea is to start with a compact display of your grid and then expand that grid to bring the grid content to the forefront when a user hovers over the element in Divi. 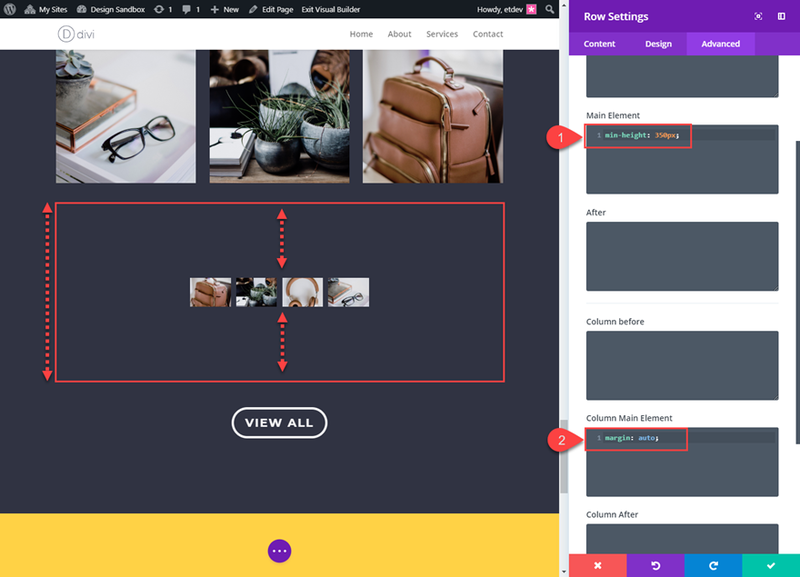 This is great for expanding an image gallery to display a larger gallery (with larger images) on hover. And you could also expand a cluster of blurbs to engage visitors to explore your services. Here is a sneak peek of the expanding hover effect examples I will be covering in this tutorial. For this tutorial, all you really need is Divi. 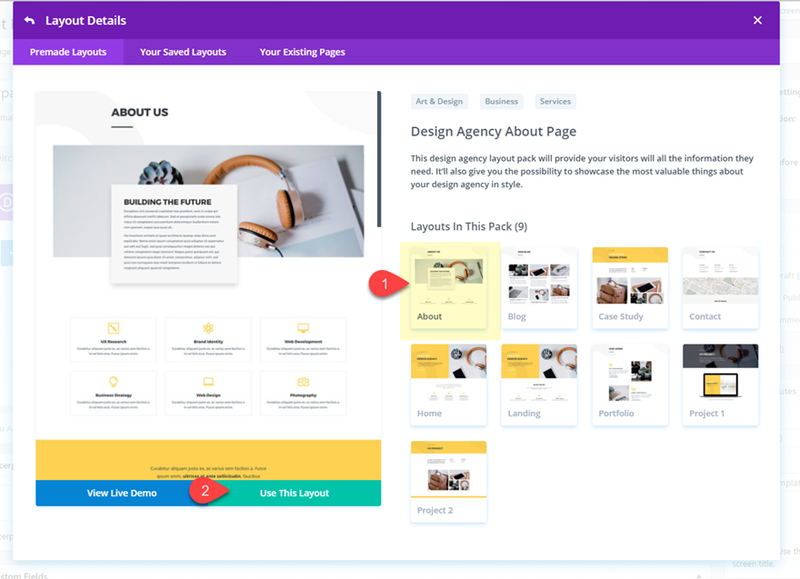 We will also be using the Design Agency About Page premade layout available within the Divi Builder to kick start the design. 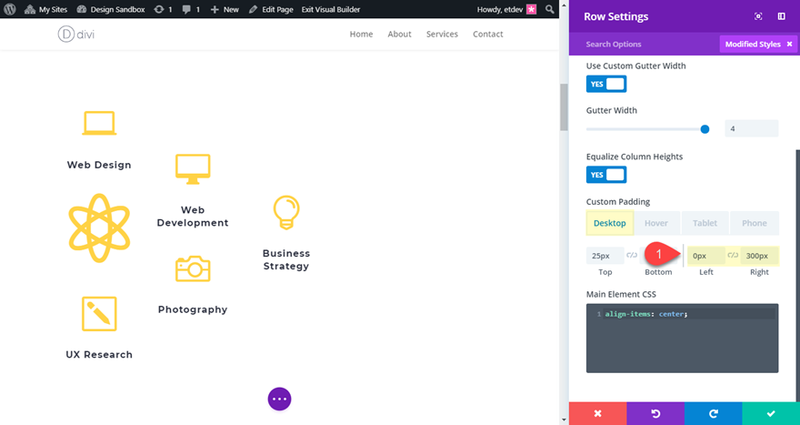 To start, create a new page, give your page a title, and click to use the Divi Builder. Next select the option to Choose a Premade Layout. 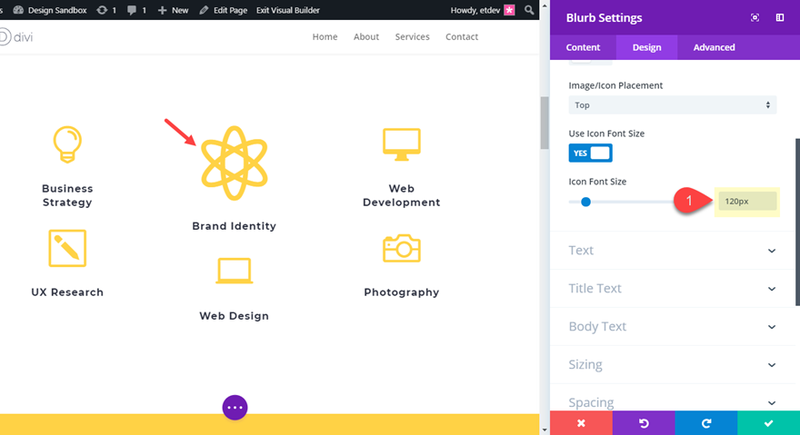 From the load from library popup, select the Design Agency Layout Pack and then click to use the Design Agency About Page. Once the layout has been loaded to the page, publish it. 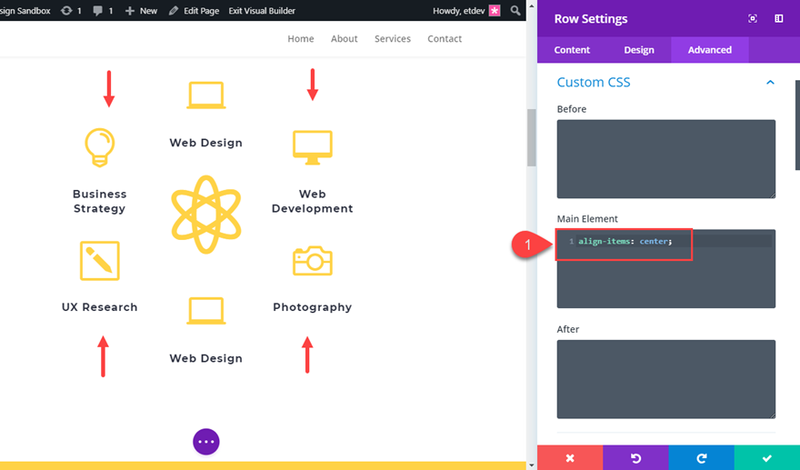 For this tutorial, I will be using the Divi builder on the front end. To do this all you need to do is click the “Build On The Front End” button at the top of the backend page editor. For this first example, I’m going to show you how to expand the blurbs in the second section of this layout that are displaying services offered. Currently the section is made up of two three-column rows with a blurb in each column. Since we will be adding our hover effect to a single row, we need to move the blurbs in the bottom row to the top row. Make sure each column in the top row has two blurbs. Then delete the empty bottom row. Next, we are going to use Multiselect to select all six blurbs so that we can apply the same design to all of them simultaneously. To do that, hold down ctrl (or cmd) and click on each of the blurb modules until all are selected. Then click the settings icon on one of the blurbs to open the Element settings modal. Giving the modules a custom width of 150px keeps the title text locked in place when we expand the row. Save changes and the click out of multiselect. This simply makes the center blurb more pronounced as the center piece from which the other blurbs will be expanding outward. The change in the padding values on hover is what creates the expanding hover effect. The row will expand 150px to the right and 150px to the left. 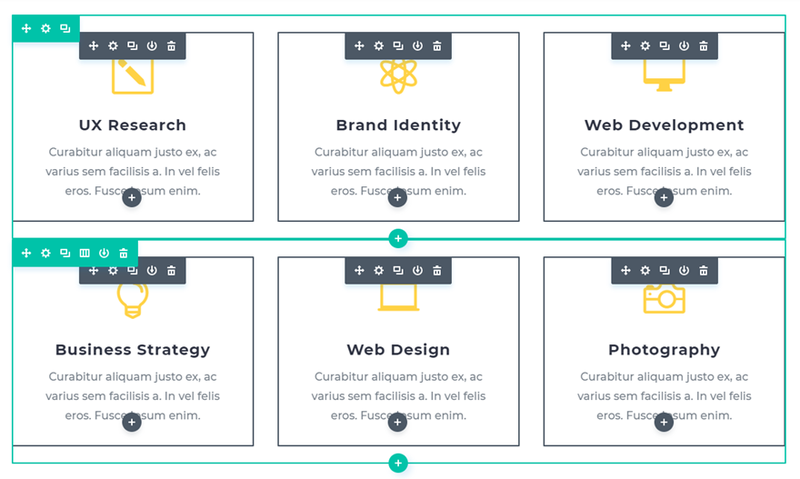 If you want to create a circular grid layout that expands, all it takes is a few minor adjustments. First duplicate one of the outer blurbs and drag it above the large blurb the second column. Then delete the title text in middle blurb with the large icon. You can also choose to expand the grid to the left or right. Simply organize your modules and then update your row’s custom padding. For example, if you want to expand the content to the right, set your default custom padding to 0px left and 300px right. Here is what the design will fall back to on tablet and smartphone. The expanding hover effect will not be active on mobile either. 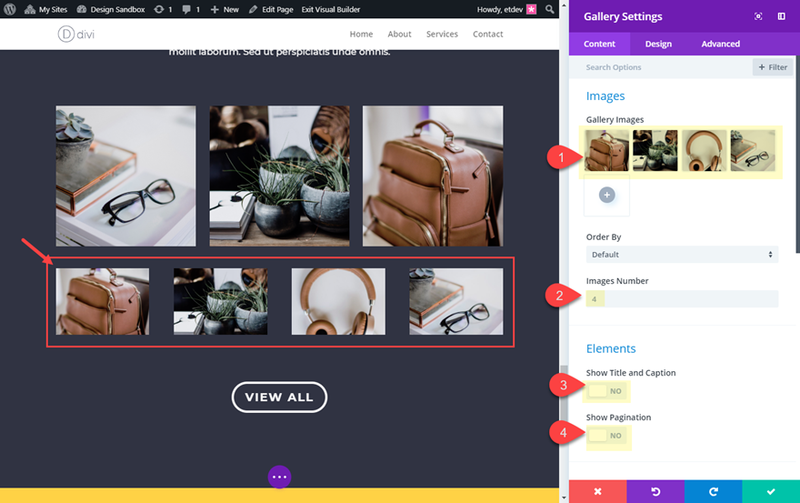 You can also expand an image gallery on hover using the gallery module to showcase a larger grid layout with larger images. 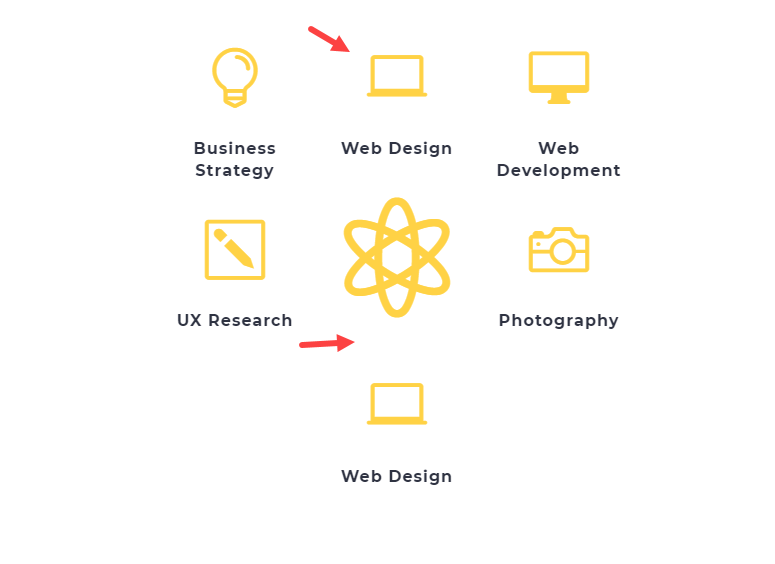 To do this, locate the section toward the bottom of the Design Agency About Page layout title “Our Work”. Then add a new one-column row under the row with the three images. Inside the row, add a gallery module. Add 4 images to the gallery with the same dimensions so they look the same across the row. 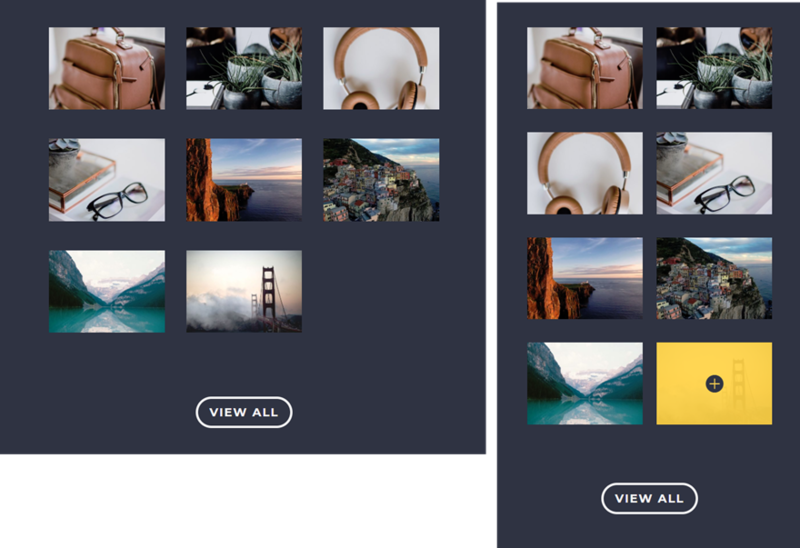 Changing the width of the gallery module on hover is what creates the expanding hover effect. Setting the tablet width to 100% also keeps the hover effect from happening on mobile. We still need to update our row settings to improve the functionality a bit and match the layout. If you want the image gallery to expand without pushing the page content down, you can do this by setting a min-height to your row. this will make for a better UX, especially with a button directly below the gallery. 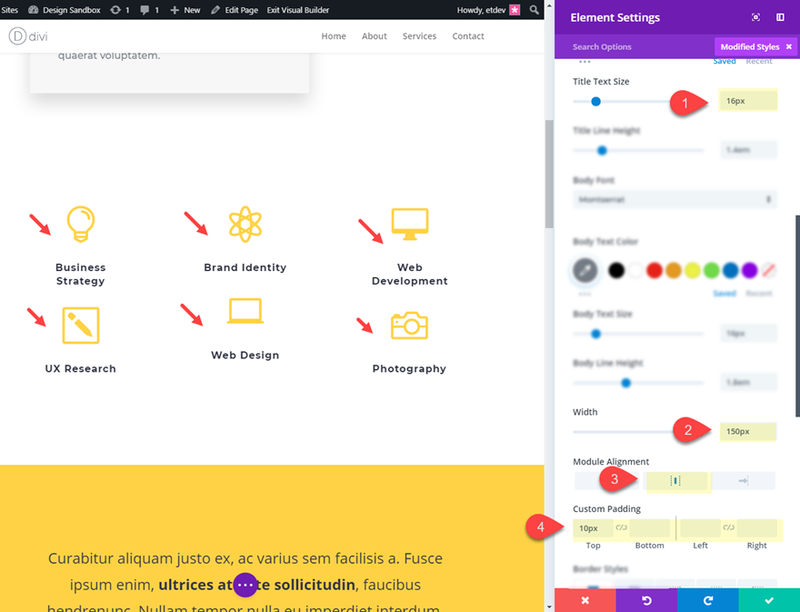 Equalizing column heights activates the “display: flex” css property on the backend which allows “margin: auto” to align the content of the column to be vertically centered within the row which now has a min-height of the 350px. Learn more about this concept on our full article on how to vertically align content in Divi. You can also add 4 more images to the gallery and increase the min-height of your row to 475px for the following result. Here is what the gallery will look like on mobile. The expanding hover effect is not active. 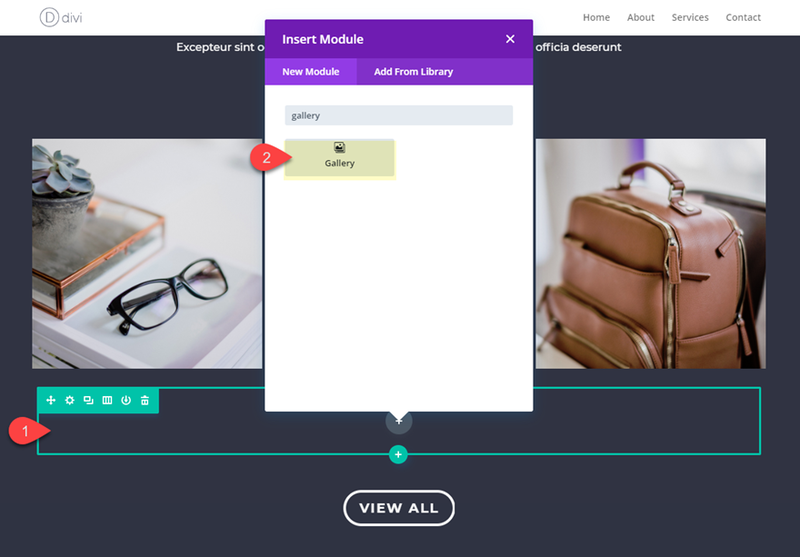 The examples given are just a few ways you use Divi to create an expanding hover effect for your entire grid content. But I’m sure you can use it for countless other use cases. You can expand portfolio modules, shop modules, or even blog modules. So get creative and have fun exploring the possibilities on your own. 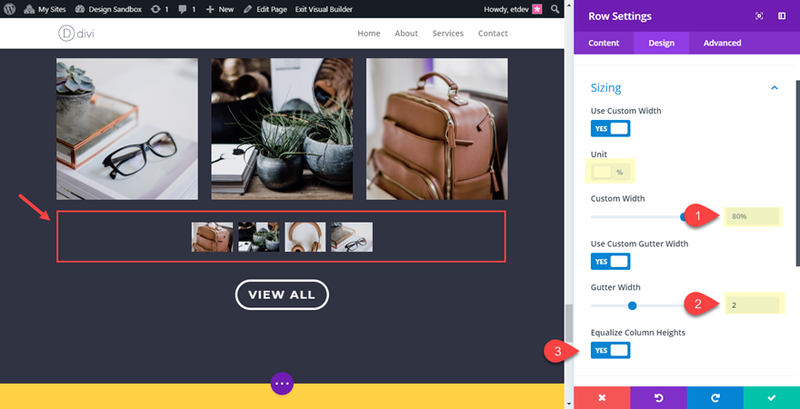 The post How to Create an Expanding Hover Effect for Your Grid Layouts in Divi appeared first on Elegant Themes Blog.